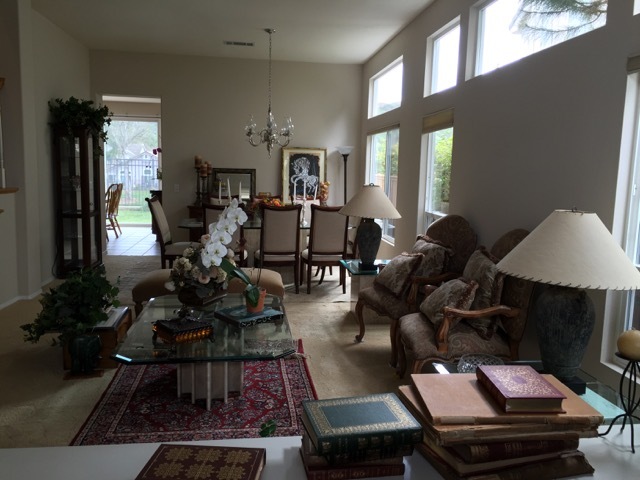 Staging frequently comes up in my communications with clients listing their homes. The question varies, but it’s usually something along the lines of “Is it worth it to stage my home?” The answer varies depending on the needs and situation of each client (and the state of their home), however I can broadly say that professionally staging a home provides some of the best ROI (Return on Investment) out of what you might do to a home prior to sale. While there is a small percentage of buyers that can readily imagine a home in it’s ideally-decorated state, most of us lack that specific imagination – it’s very hard to do. For that same reason, it’s often tough to visualize how a property comes across to potential buyers staged vs unstaged. And, what about the idea that a home shows best (and appears more spacious) when there’s nothing in the home? Recently, I came across the perfect opportunity to highlight the difference professional staging can make and to share a few home staging tips. I cover many of the benefits to staging, along with common misconceptions in this article, and in the accompanying video where I do a walk-through of two similar properties, one unstaged, the other professionally staged. A listing of mine before being staged. 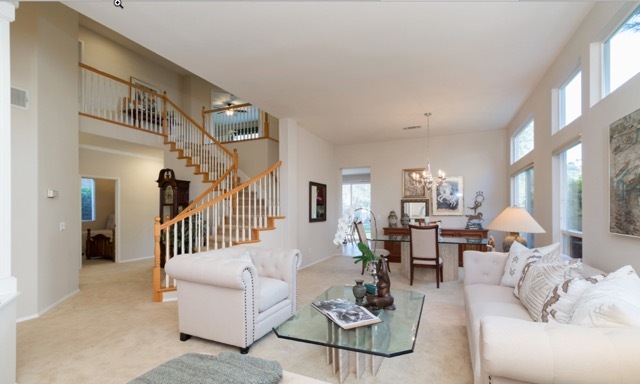 The staging shown here helped to contribute to strong demand and a successful sale. 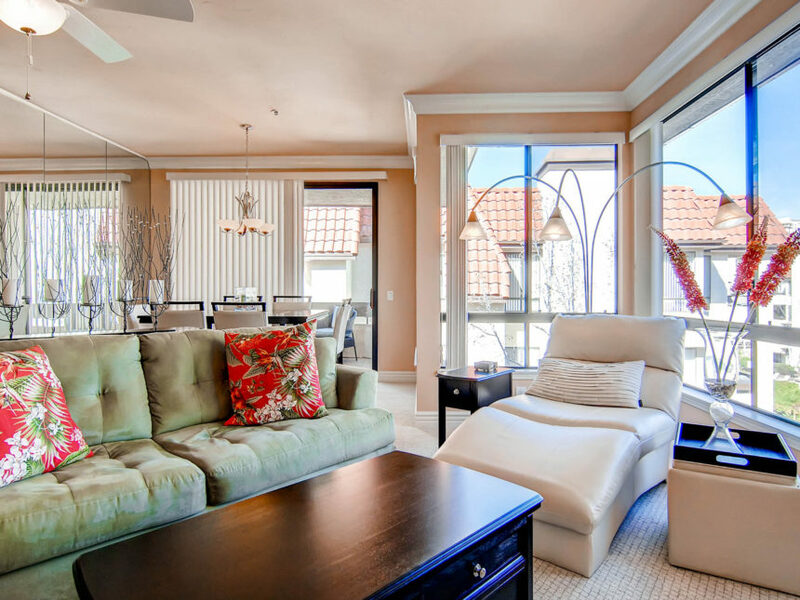 Staging refers to furnishing and decorating a property in an aesthetically-pleasing way to try to maximize the marketability and appeal of the home. It’s a form of market preparation that is intended to showcase a home in its best possible light. Professional staging costs vary tremendously based on where the home is located, condition, state of existing furnishings and decor. According to a National Association of Realtors survey*, median cost of staging throughout the US is $675. This number sounds unrealistically low to me. Here in San Diego, California, costs are commonly in the $2000 to $5,000 range for most typical homes. A ballpark of 1% of the value of the home is another figure I have heard quoted, however I think for many markets staging is typically less costly than that. Another factor with staging costs is recurring costs. Some staging companies will immediately apply a monthly charge for any staged properties. Some don’t charge any monthly fees. Lastly, some don’t charge monthly fees initially, but then they kick in if the staged home hasn’t sold in a certain amount of time. As you evaluate potential home staging companies, it’s definitely worth inquiring about ALL costs (both up front, and recurring), in order to avoid any unwelcome surprises. This large open space was hard to visualize before staging. The same space after home staging is warm and inviting. The answer to this question depends on your market and possibly your agent. Often, costs for staging are borne by the seller. There are also agents in some markets that will pay for some or even all of the staging. 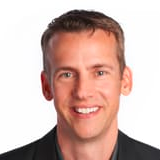 The fact that any agents at all are willing to allocate a portion of their pay for staging is a pretty compelling testimonial to the value they see in it. Staging makes an agent’s job easier, and a well-staged property is much more likely to appeal to buyers. If staging didn’t have an overall net benefit to sellers, it would be unlikely to enjoy the popularity it does. Out of the 2363 Realtors that weighed in on a staging survey* (more on that below), 71% believed a staged home would sell for 1% to 20% more. Even at the conservative end of that range, a little money invested in staging can pay off in your ultimate sales price. Let’s say you have a $750,000 home and you invest $5000 in staging. If the home’s sales price winds up being just 3% higher as a result of the staging, you’ve managed to NET $17,500 more in your transaction. If the staging results in a 5%, 10% or more increase in sales price, then the additional ROI really starts to stack up in staging’s favor. Related to the potential impact staging has on what your home sells for is the time it actually spends on the market. With relatively few exceptions, time is your enemy when it comes to selling a home. For one thing, you’re incurring costs on the home until it’s sold. If the home is your primary residence, that may be less of a concern since you’re likely still living in it. However, if the home is an investment property or simply a property you’re not living in at the time of sale, those carrying costs can be an important consideration. The other impact time can have is that a property that remains on the market unnecessarily long often becomes undesirable. Properties that linger on the market usually due to pricing, sometimes due to property condition, will also often see price reductions. While pricing the property for the market beforehand is always the ideal scenario, staging can help reduce the time on market. A brisk sale that avoids a price reduction can more than offset whatever might be spent on the staging. While statistics and statements about how much staging can shorten a property’s time on the market abound (see infographic to the right), I have never spoken to someone that believes staging has an adverse effect on time on the market. Just about everyone agrees staging shortens the time a home spends on the market, it’s just a question of how much it shortens it. What About the “Homes Seem More Spacious with Nothing In Them” Theory? It’s not uncommon to hear the advice that by completely emptying a home you make the home feel more spacious. So, does that mean it’s a good plan to maximize the property’s appeal to a potential buyer? 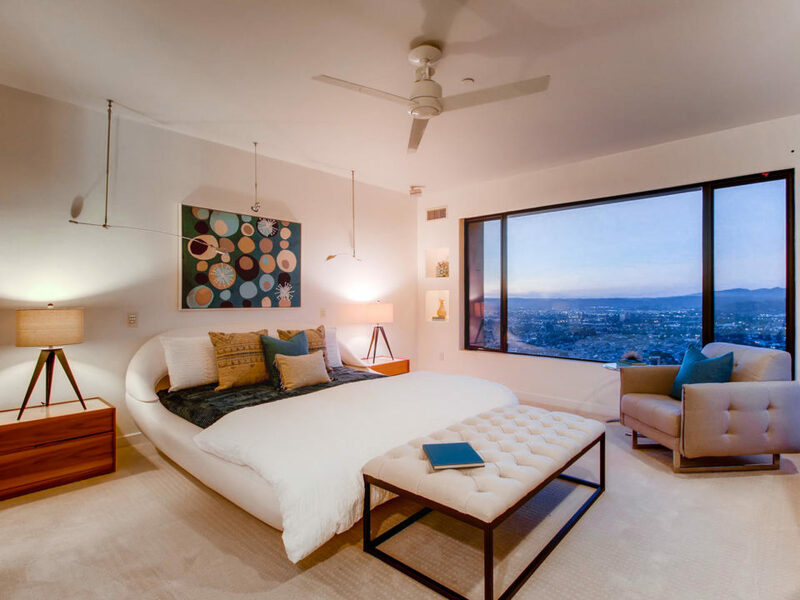 Spaciousness is just one elements that can appeal to buyers. In extremely large homes, too much spaciousness can actually make the home feel uninviting. 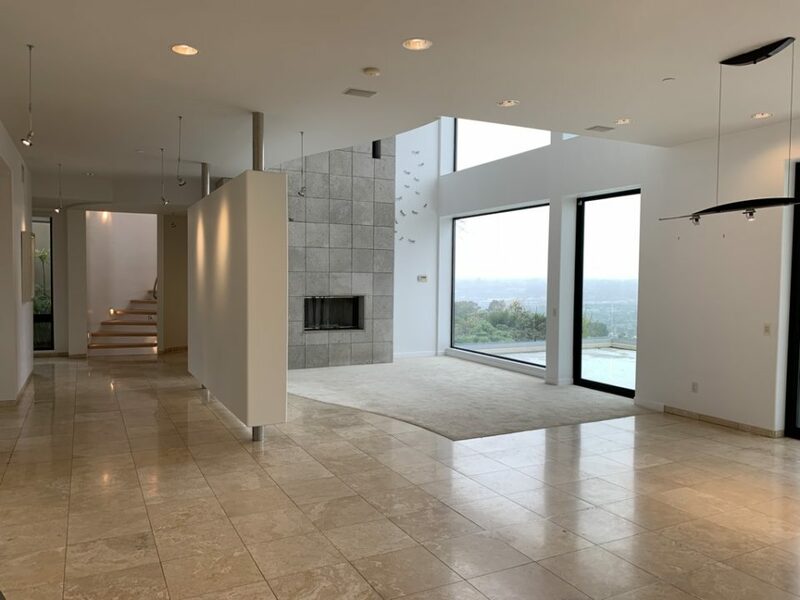 While there might be certain circumstances where maximizing spaciousness makes sense, generally I do not believe completely emptying a home is the best strategy. That’s especially true if the question is whether to show the home empty or show it staged. Showing it staged wins just about every time. Through the use of color, texture and design, a good stager can take an otherwise ordinary space and make it seem extraordinary. 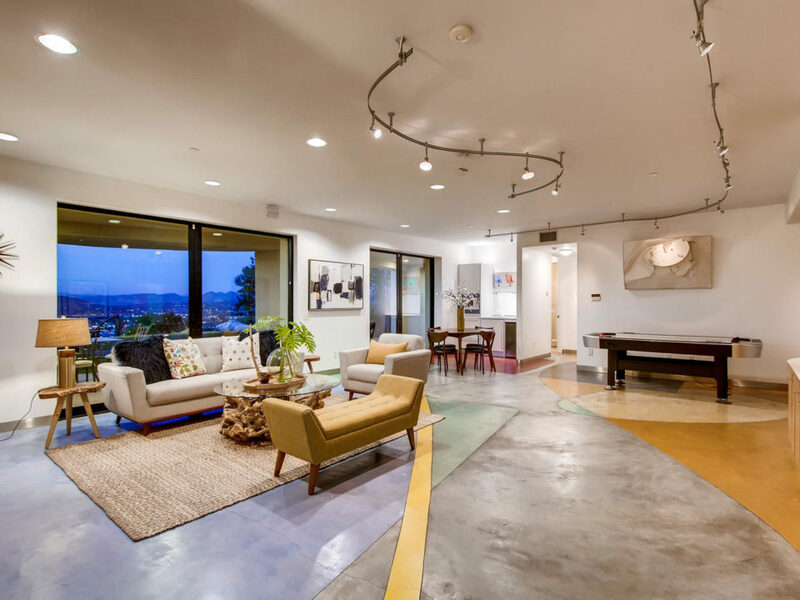 Bare walls and floors can go from forlorn to visually appealing with a few tasteful decorations like throw rugs, paintings, ornamental plants, furniture, sculpture, etc. Sometimes rooms or parts of a home are not easy to decipher. . . potential buyers walk-in and are mystified rather than wowed. You don’t want buyers trying to figure out what a space is, you want them focused on how much they like it. Defining spaces with staging helps buyers by removing the guesswork. There’s a great example of this staging benefit in the video towards the top of the article. Can you imagine a spanish bungalow with Atomic-era decor? Or an ultra-modern luxury home featuring shabby-chic and antique decor? Neither can your buyers! 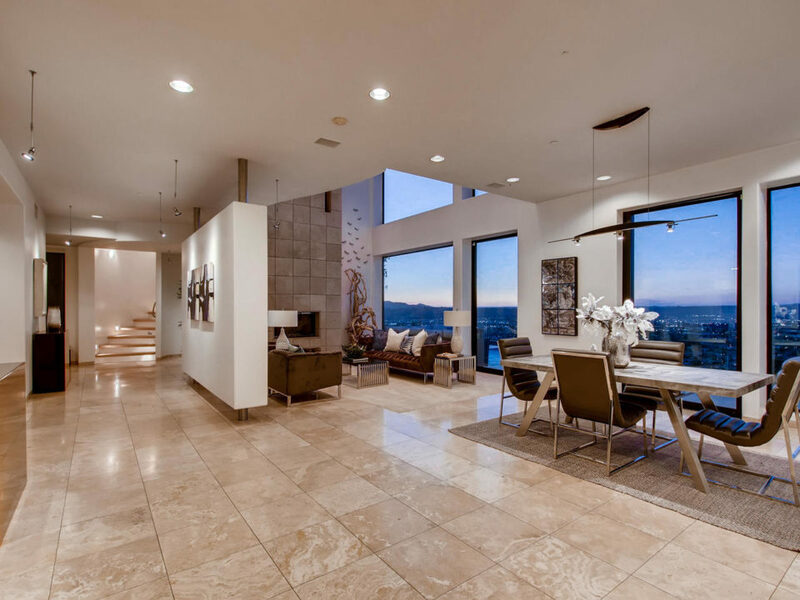 A good stager will work to make the staging not only match the distinctive architectural style of the home, but will also draw attention to some of the home’s key features and selling points. In some homes, walking from one room to another can seem like moving to another planet due to extreme differences in style from room-to-room. Good staging will create a unified style and feel to the home, without shocking changes surprising or catching buyers off guard from one room to the next. If you have a limited budget and are trying to figure where best to allocate your staging dollars, using the list above as a starting point should get you pointed in the right direction. A little goes a long way in most kitchens, and Kitchens are a natural gathering space in most homes. Prioritizing making the kitchen look great can provide a lot of bang for the buck. Staging doesn’t always have to be all or nothing, and it doesn’t always need to be professionally staged by a staging company. I have had clients with impeccable taste and fantastic furniture essentially do their own staging. In those cases, I simply advise my clients on any changes I might recommend (more often than not those changes are removing a few pieces of furniture and possibly reducing some of the decor). Ideally, a staged property should look furnished and decorated, but not cluttered or too busy. With that said, clients that live in homes that look professionally staged tend to be more the exception than the rule. For everyone else it comes down to either doing what you can to de-clutter, design and decorate your home to make it ready for the market, or you call in a professional stager. Most DIY staging doesn’t turn out nearly this good. 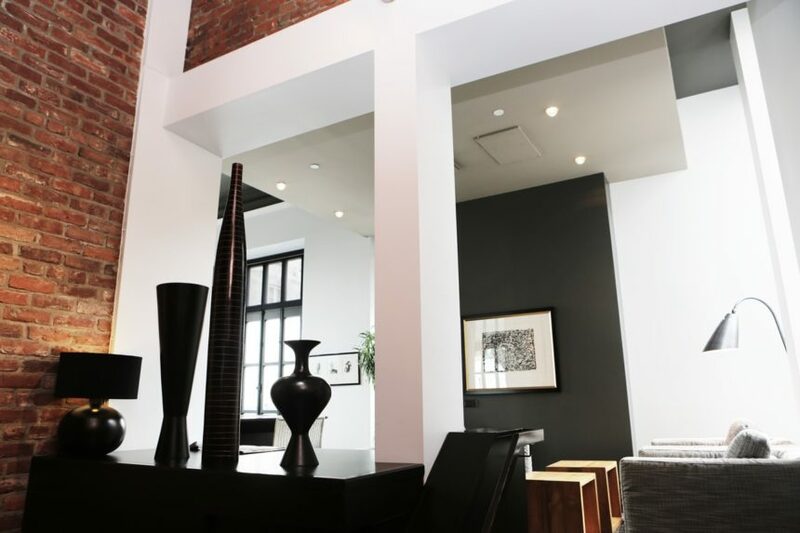 In this case I lucked out with clients who had a great sense of style combined with nice decor. I merely advised on a couple minor details. While I often applaud a DIY approach to some projects around the home, staging isn’t always the best idea using a DIY approach. Most of us simply don’t have the training or the eye to pull off staging at the impressive level it should be executed at. 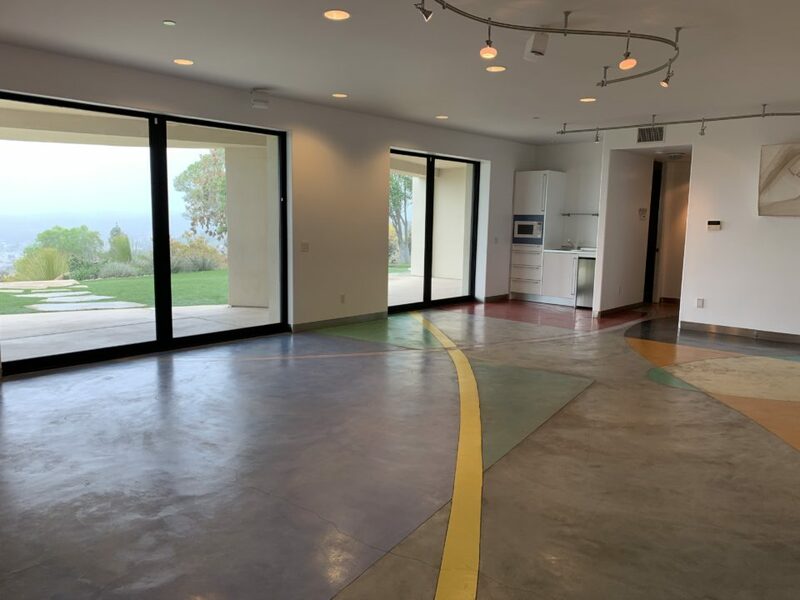 Janne Anderson Burgio from The House Whisperers staging company in San Diego has a long list of reasons why home sellers should think twice before deciding to stage a home themselves. A few very compelling reasons include: 1 – Homeowners can never be objective about their own home. (Janne says she wouldn’t even stage her own home). 2 – Homeowners lack the resources and inventory stagers have. 3 – It costs more to DIY all around 4 – A good staging team can stage your home in a couple days whereas you might spend weeks and still not stage it properly. This master bedroom lacks the wow factor it deserves. The same space professionally staged maximizes its appeal. Staging can have such a huge impact on your sale that it’s worth hiring someone with the expertise and inventory to pull it off as professionally as possible. 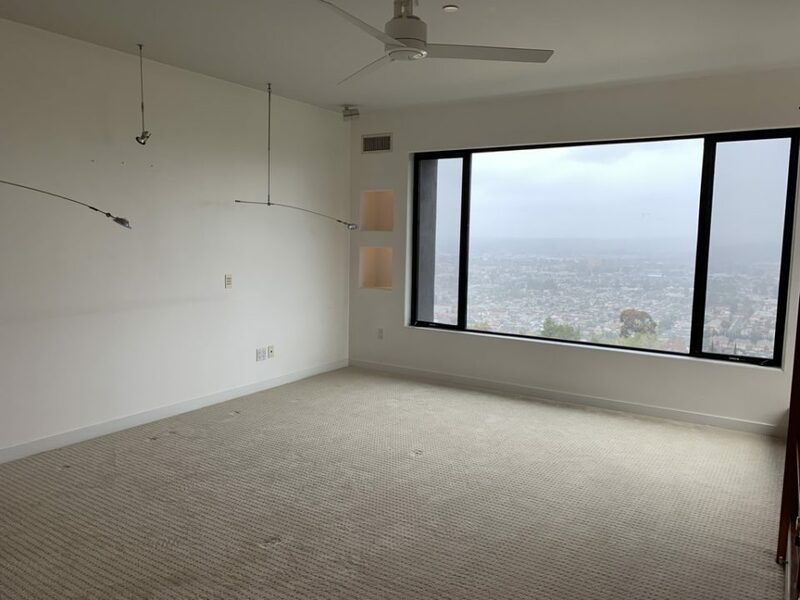 Thanks to Janne Anderson Burgio from The House Whisperers staging company in San Diego for providing her home staging tips, insights, before-and-after photos and links to some of the resources cited in this article. As well as to the National Association of Realtors for some of the data cited in their survey. * Copyright NATIONAL ASSOCIATION OF REALTORS®. Reprinted with permission.